My husband has this motto – just do it right the first time, even if it takes more time. Thank God opposites attract because my motto usually is – just get it done in the easiest, quickest way possible. This is why he likes to fold his own clothes and put the sheets on our bed (the corners must be perfect). And this is why I can bust out a meal in 25 minutes or less, any given day. 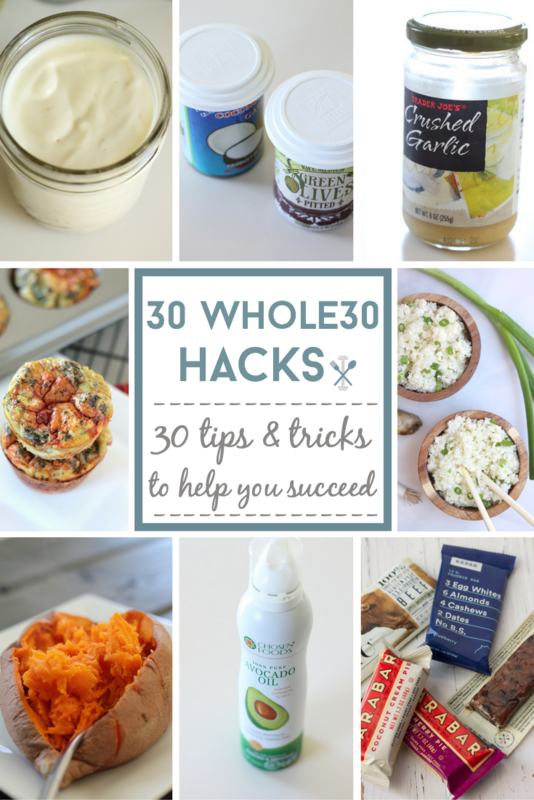 Luckily you get the best of both worlds (right AND quick/easy) with these 30 Whole30 hacks. If you’ve never tried the Whole30 program, it can be life changing…and daunting. Prep, plan, eggs, omit, prep, eggs, sweet potatoes, eggs, MEAT, grill, roast, eggs, prep, nuts, sweet potatoes, eggs, veggies, veggies, veggies, cry, meat, more meat, willpower, sweet potatoes, veggies, eggs, rejoice! Did I miss anything? All yolking joking aside (sorry, bad egg pun), Whole30 is a major commitment with major personal rewards. But just because you need to devote some serious planning and prepping, doesn’t mean there aren’t some ‘hacks’ to help you succeed (and save you some time and your sanity in the process). 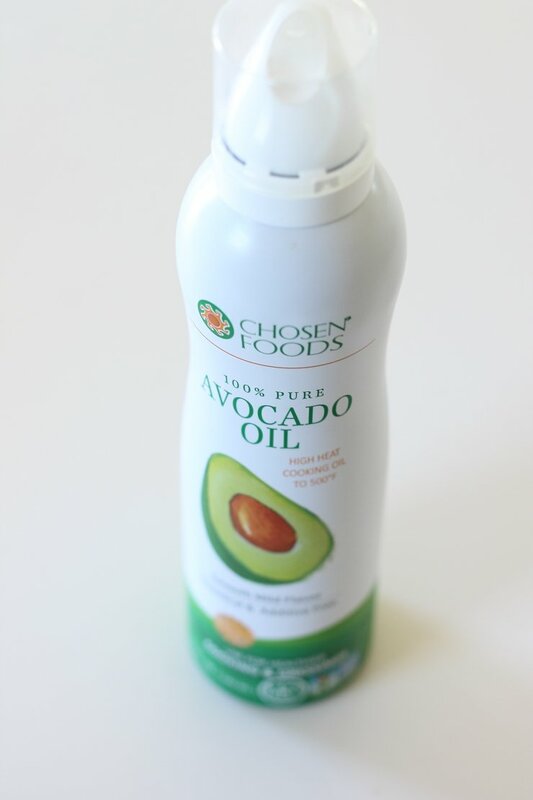 Buying coconut oil or avocado oil in spray form makes life easy and helps you control the amount of oil you need in a pan when cooking eggs or sautéed vegetables. Many common condiment staples have ingredients not compliant with the Whole30 program, so you’ll need to make your own. Pre-making your own ketchup or BBQ sauce can help spice up the mundane meals. 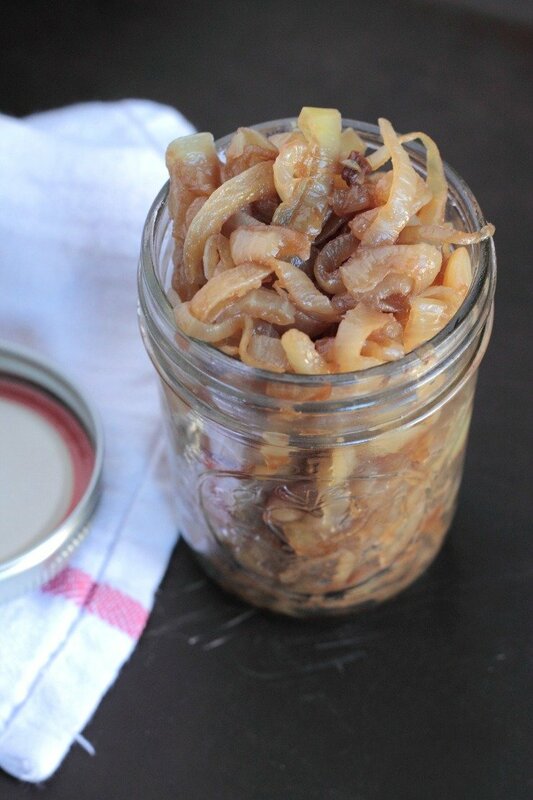 Or try pre-making caramelized onions, salsa or pesto, storing in a mason jar, then freezing for later when you need some meal enhancements. Make your own trail mix when you need something to hold you over when on the go. Preassemble packets of nuts so you aren’t going crazy eating half a container in one sitting when the snack demons sneak up on ya. Throw knobs of ginger in the freezer to harden so it’s easy to grate later. Fresh grated ginger will amp up the flavor to any meal when you are cooking! Make a large batch of egg cups or egg ‘muffins’ and add any leftover veggies and/or protein. Then you’ll have easy breakfasts that can be reheated throughout the week that give a big dose of nutrients! 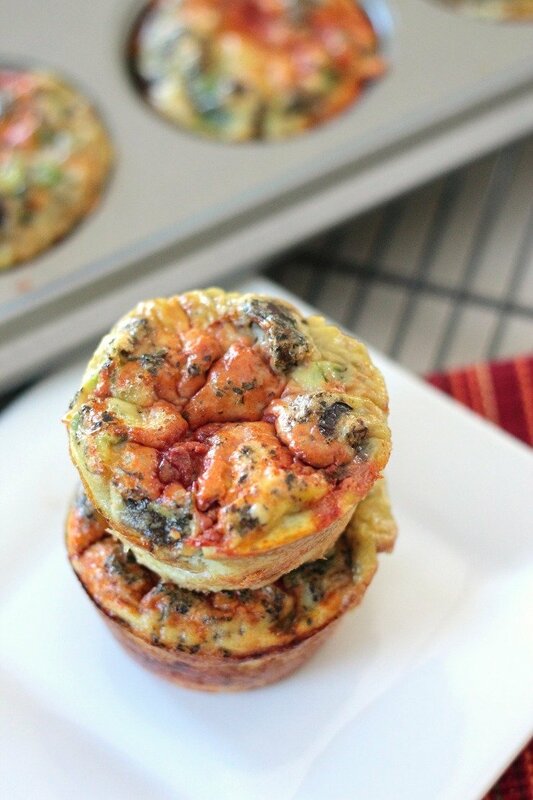 Try these paleo pizza egg cups. Treating yourself to flavored water when water is just.so.blah is a cinch when you have a fruit infuser water bottle. Throw in fresh strawberries, mint, cucumber, or lemon wedges in the center and gulp it up! When you have a busy week ahead, save yourself the hassle and buy pre-cut products. It’s more expensive than chopping and cutting yourself, but will save you time and keep you on track! Precut or dice white potatoes in preparation for a meal, then store them in a bowl of water to refrigerate in order to avoid oxidization (or browning). When you are ready to cook or roast the potatoes, pat the potatoes dry and add oil/salt/herbs to taste. 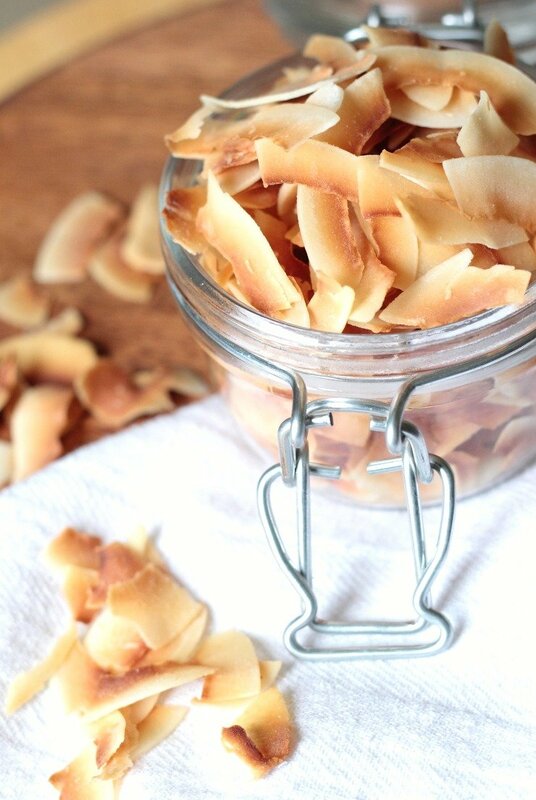 Toasting coconut chips in the oven at 300 degree for around 8 minutes enhances the flavor and adds a great crunch to homemade trail mix. Or used toasted shredded coconut for this Whole30 pina colada coleslaw. 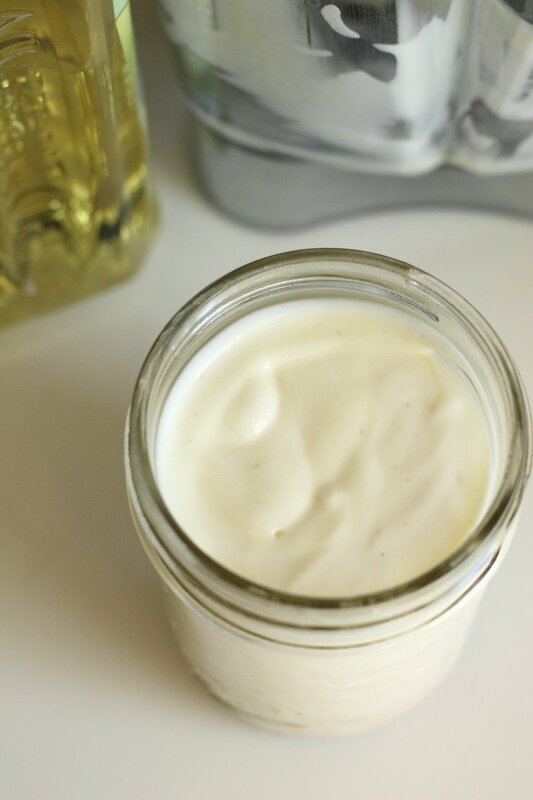 Learn how to make your own homemade mayonnaise. This will help you make easy chicken salad or tuna salad wraps, add some flavor to beef or turkey burgers, or can be used as a base for this herby 30 minute chicken and brussels sprouts bake. 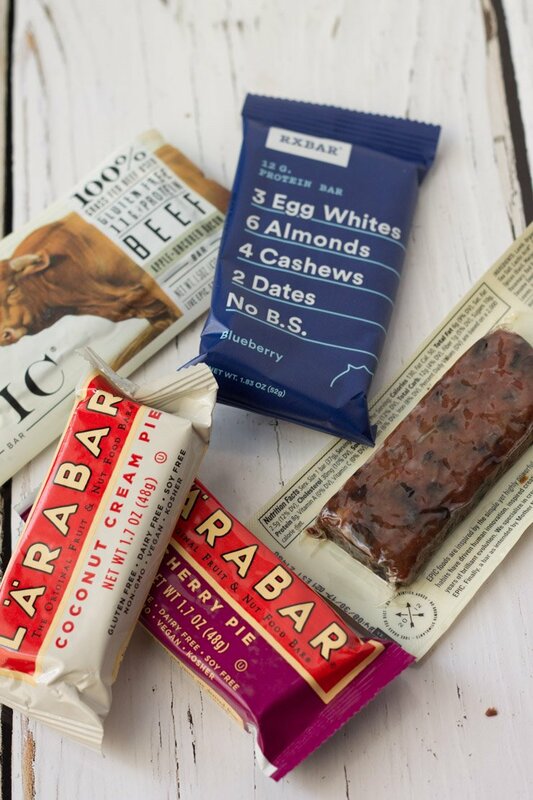 Having a small snack or compliant packaged item like Larabars, RXBARs, or Epic bars in the car can help you stay on track when you are on-the-go with no time to grab something from home, trumping the temptation to sneak to the drive-thru! When you fire up the grill, make it worth it! Batch cook chicken breasts, hamburgers, pork chops, steak, or roasted veggies to have for lunches, elements to build salads, or sides for breakfasts throughout the week. Pre-bedtime munching habits making it hard for you to stay away from the pantry? Try hot tea. Not only can tea produce a calming effect before you hit the hay, holding a mug can keep your hands from reaching in to the cookie jar! Buy a few bunches of kale and sauté to consume later in the week. 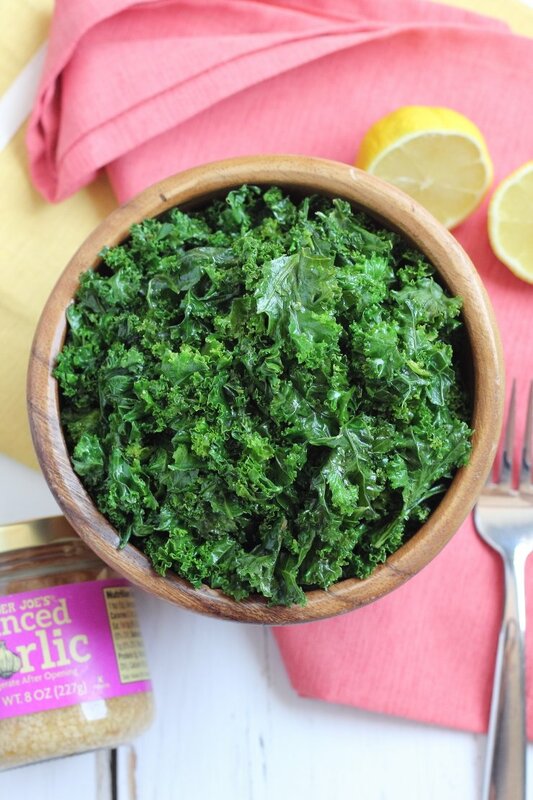 Check out this lemon butter sautéed kale with garlic for a wonderful dish with lots of flavor. Serve sautéed kale as a side for dinner or as a base for morning eggs. Use plastic lids that fit canned goods to store in the refrigerator. I use plastic dog food lids that came with our dog’s canned food, but you can find any plastic can lids like these online. 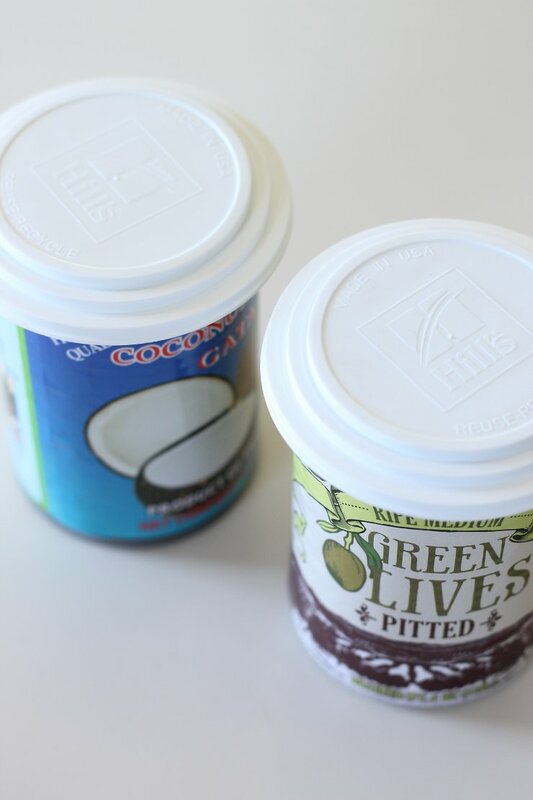 Keeping foods like canned olives or coconut milk in the can is easy and omits more dishes! As your fresh fruit reaches the end of its lifespan, freeze it for later. Then you can later use the frozen fruit as a flavor enhancer for water or sides with breakfast. 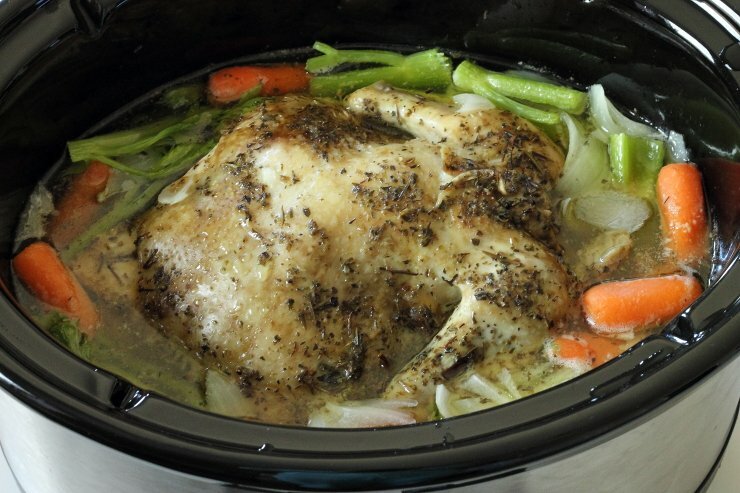 Make shredded chicken for the week by placing a thawed whole chicken into your slow cooker, covering with water (roughly 3/4 up the bird), and cooking on low for 6-8 hours. To add flavor to the water and make a rich stock, add some chopped vegetables like carrots, onions, and celery, and dried herbs like oregano, bay leaves, garlic powder, and salt. Once the chicken is cooked, remove from the slow cooker, let cool, and shred all the meat off the bones. Let the meat cool and store in an airtight container in the refrigerator. You can then make chicken salads, Whole30 Tuscan chicken spaghetti squash, cilantro pesto chicken wraps, chicken soup, chicken burrito bowls, or eat the chicken as is for lunches and dinners throughout the week. And be sure to save the bones and make this amazing bone broth. When you need some protein in a bind, stock up on tuna packets. These make great grab-and-go lunches when you need something quick and portable. You can also make tuna salad wraps with homemade paleo mayo. Ah that avocado. Creamy, tasty perfection when timed right. But an over-ripe avocado is never good. Store avocados are room temperature JUST until they start to soften. Then store in the refrigerator for a much longer shelf life. Dicing garlic cloves can be time-consuming. 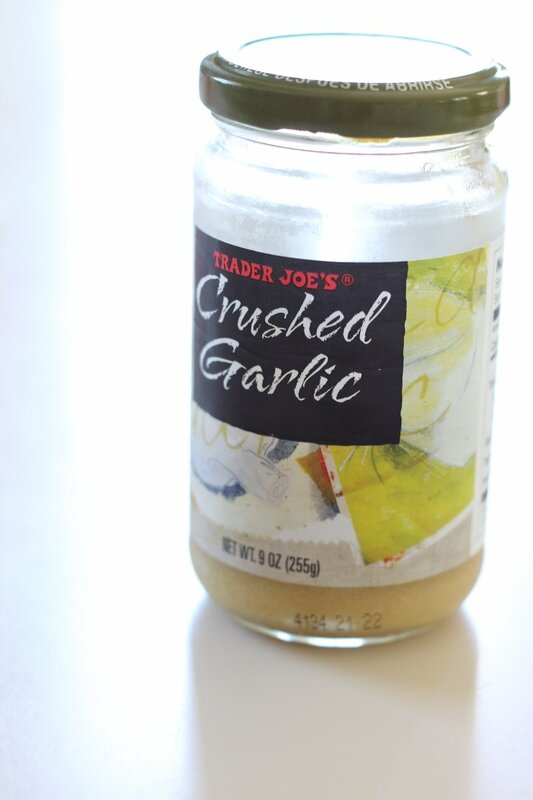 Buying crushed garlic in a jar can save you tons of time and makes it easy to add fresh garlic taste to any meal. Hardboiled eggs are a great portable breakfast or snack option. To ensure easy peeling, place your scalding hot hardboiled eggs into an ice water bath directly after boiling. This will make peeling the shell easy! Need a little creative twist to hard boiled eggs? 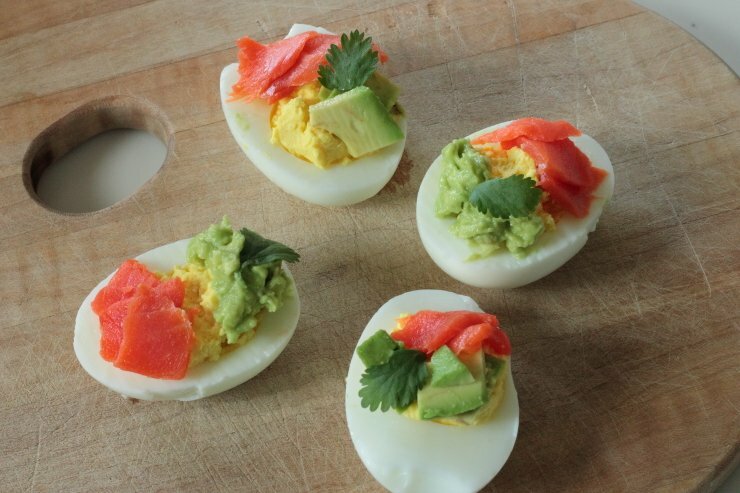 Try these smoked salmon avocado deviled eggs and check out this post: hardboiled eggs 5 ways. To ‘fake bake’ sweet potatoes in no time, spear a sweet potato a few times with a sharp knife and nuke it on high for 4-6+ minutes (depending on the size of the sweet potato – microwave until insides are soft). 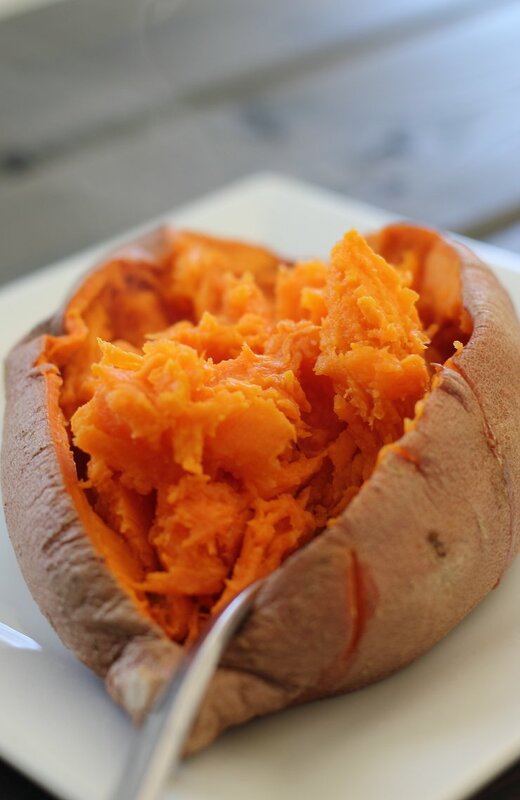 Let cool and simply cut open the sweet potato, discard the skin, and enjoy it mashed in minutes. Fresh herbs add major flavor to any meal, so learn the basics on how to properly store your fresh herbs to keep them lasting longer, saving you money and keeping your meals tasty. For example, storing cilantro stems in a glass of water with a plastic bag over the top keeps cilantro fresh for well over a week! 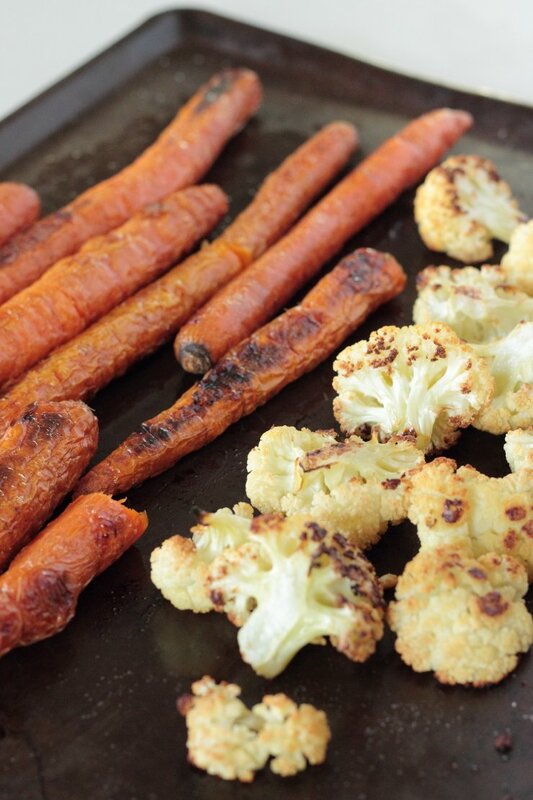 Roasting vegetables like beets, butternut squash, cauliflower, or carrots in large batches make easy sides for dinners or lunches. Making large batches in advance and then storing in the refrigerator also alleviates stress during busy meal times. Roasting vegetables in olive oil, salt, and even a little balsamic vinegar can enhance the flavor and make eating veggies easier! This autumn roasted veggie sheet pan chicken with craisins has a killer combo of sweet potatoes, Brussels sprouts, and leeks. 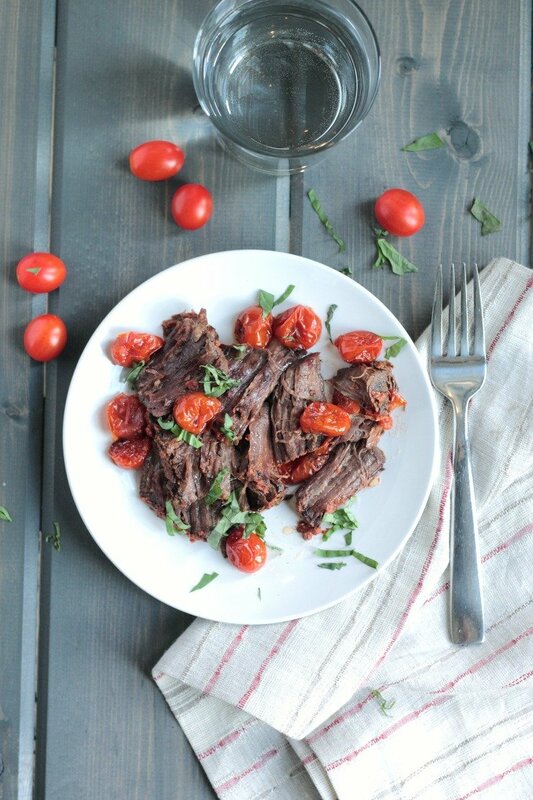 Learning to use liquid elements like balsamic or red wine vinegar, coconut aminos, citrus juices, etc., can help you create easy, simple meals with a lot of flavor and minimal effort. Try using these liquids in any ground meat, as a marinade, or for homemade salad dressings. Bacon to perfection means baking it in the oven. And pre-cooked bacon is easy to pair with eggs in the morning, crumbled over a salad, or added to any dish for flavor. Heat your oven to 400 degrees and place the bacon strips on a cookie rack then directly on top of a baking sheet. Then cook 12-18 minutes, or until bacon is cooked to your liking (the longer, the crispier it will be). Save yourself the time if you’re feeling the stress! There are SO many brands that offer Whole30 compliant food options. Do your research, read your tables, find what works for you. 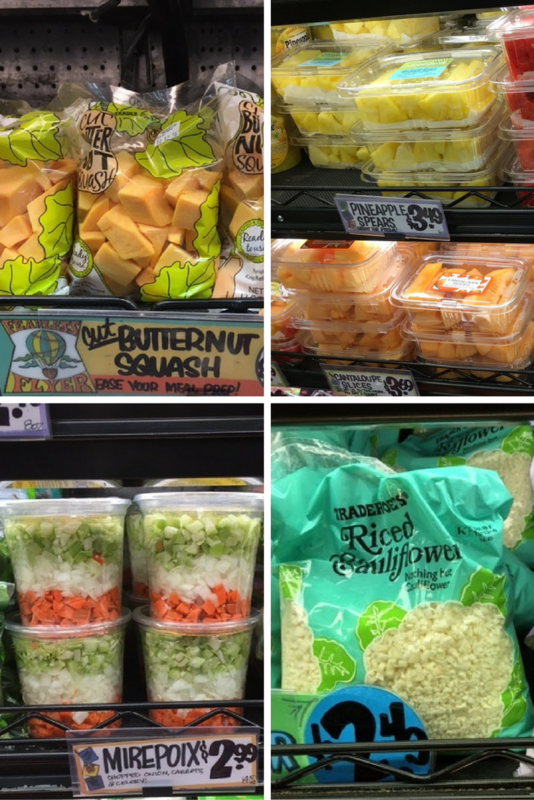 And check out this Ultimate Trader Joe’s Whole30 Shopping List for a few ideas. Never being a sausage lover in the past, I’ve learned that these things save me during whole30. When you are crunched for time, heating up pre-cooked sausages and adding simple sides will be a lifesaver. Find a complaint sausage you like (mine is Aidells Chicken and Apple) and learn how to make easy meals with it. I serve my sausages with steamed brussels sprouts, or I’ll throw sausage slices with spaghetti squash snd sauerkraut for an easy, filling meal. Cauliflower rice is a great alternative to traditional rice and can help you make those familiar meals you love while staying compliant. It’s easy to make your own cauliflower rice by simply pulsing a cut head of cauliflower in a food processor, or buy it already riced! Just make sure you amp it with a little flavor at first. For Mexican-inspired meals, add lime juice, cilantro, and pink Himalayan salt. 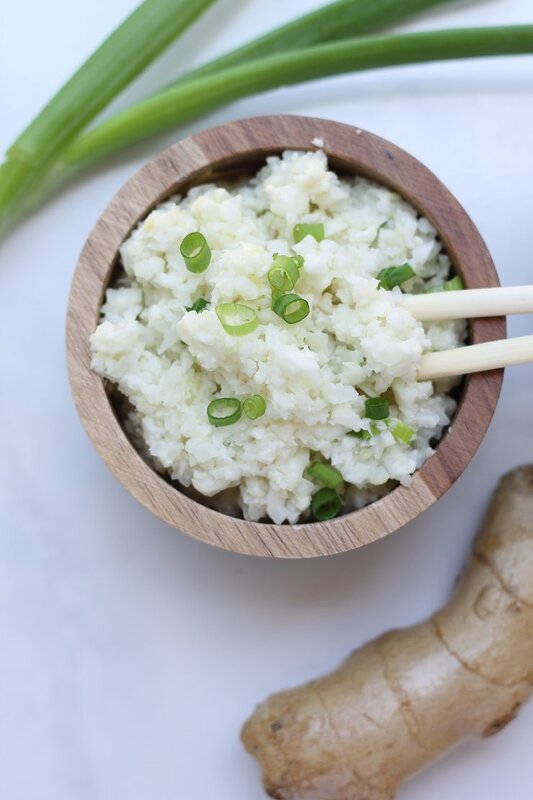 For Asian-inspired meals, try this cauliflower fried rice or coconut ginger cauliflower rice recipe. Let someone else do the planning work for you! 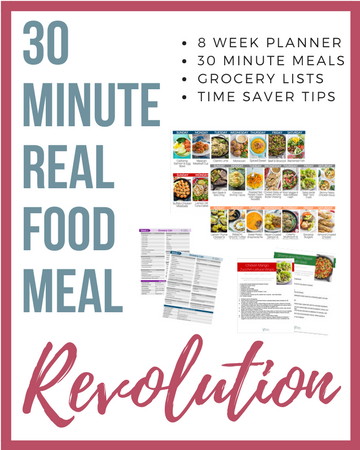 So many bloggers offer amazing Whole30 recipes and share their experiences to help others like my online besties at: Little Bits Of, Fit Mitten Kitchen, Hungry by Nature, Miss Allie’s Kitchen, My Uncommon Everyday, Athletic Avocado, and Maria Makes. Or heck, let ME do the dirty work for you – if you haven’t signed up for my free 7-day Whole30 meal planning guide, you need to. 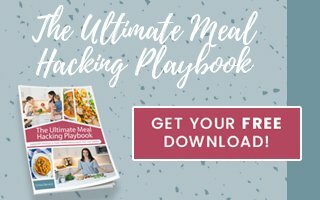 A weekly plan, daily meal prepping tips, grocery list, and recipes for breakfasts, lunches, and dinners. It’s the easiest way to start your Whole30 challenge. Sign up below! Ok lastly, not really a meal tip or trick, but sometimes whole30 can be hard. If it were easy to complete the 30-days, everyone would do it! When you are feeling tempted, just STOP AND THINK. What made you decide to start the program? What did you want to change about your eating habits? Is it worth starting over? Is it worth kicking yourself later? If you aren’t going to change your habits for the better TODAY, then when? Sometimes just taking 20 seconds to think before you act can make all the difference from failure to success. YOU GOT THIS! Do have any hacks to help you stay on the Whole30 path? Share them below! Wow I think you made Whole 30 a whole lot easier for everyone; You should post this in the Bloggers Gonna Blog for the gals who are doing it. I’m totally like you. I love doing things quickly, but I’m learning to do some things a bit slower? You’ve got to be good at doing things quickly with two sweet babies. Oh will do! Thanks girl! Confession: I had no idea you could freeze condiments! These are some awesome, helpful hacks! Saving this for later! Alright, these are all pretty helpful (whether doing Whole30 or not), but the pet food lids are blowing my MIND! So simple and genius! Isn’t that like THE GREATEST invention ever?! Seriously. Yessssssss to all of these! Thank you for including us below 🙂 Pinning this awesome resource! Thanks for the pin love! Keep up the good work! Hahahaha I like you. YES, every time I’m stuck in a rut for dinner my husband sweeps in with the pizza suggestion. Being prepared is where it’s AT! Happy to see that several of these are things I have done – excited to have learned a few new ones! Only one I am curious about – I was always under the impression that once you opened a metal can, you were never supposed to store the remaining food in it. Is that not the case? I guess I’ve heard that too, but conflicting studies. It just works for me so I go for it?! Thank you so much Chrissa. This is a game changer! Will definitely come in handy for my April whole 30!